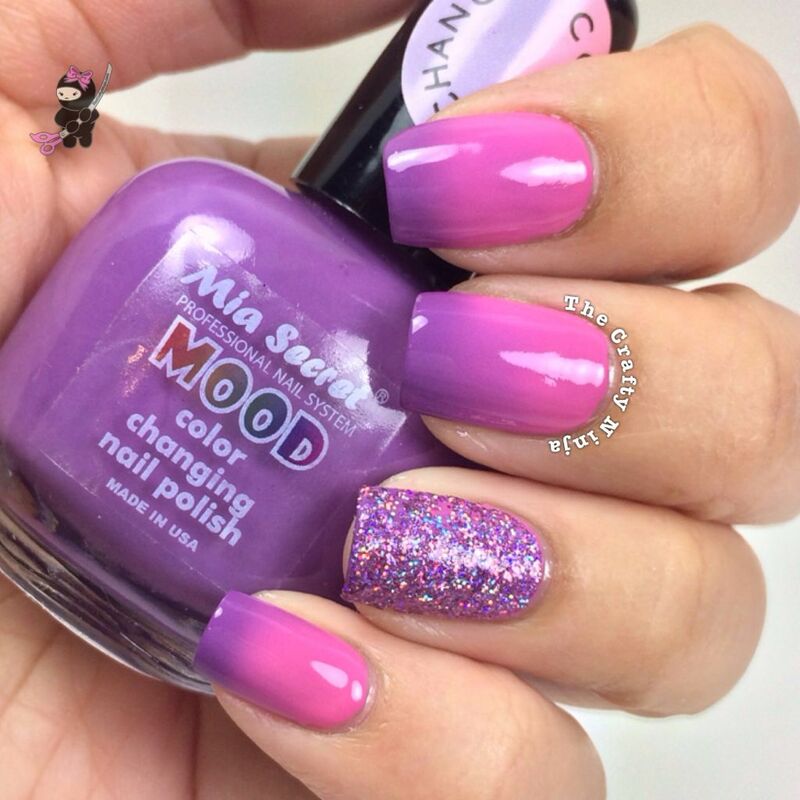 Love this Mia Secret Mood color changing nail polish I received from Simply Spoiled Beauty. 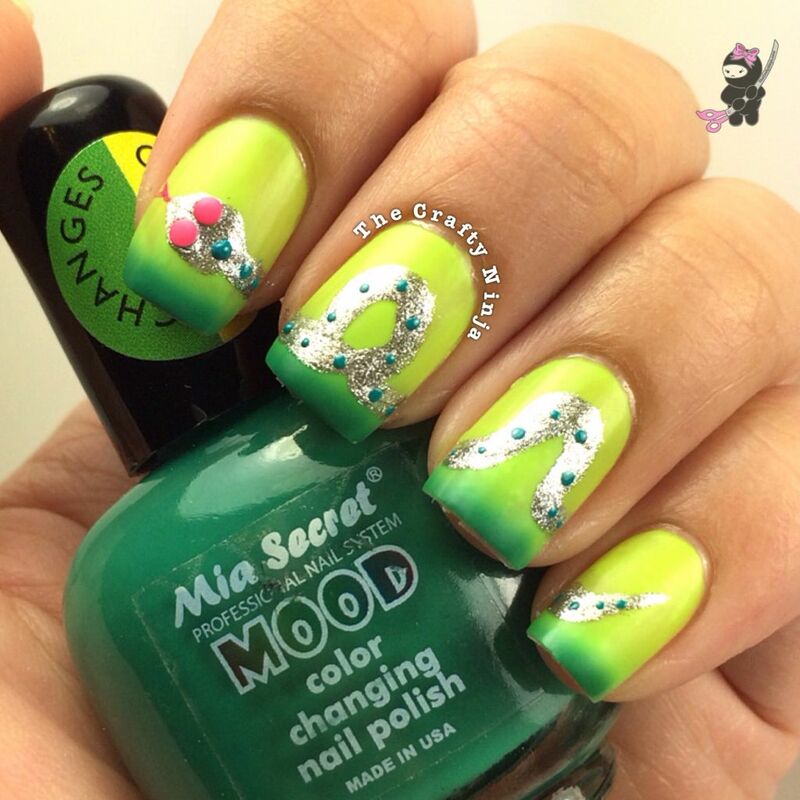 Due to the temperature of your body it changes from a dark green to bright neon yellow. Don’t forget to use coupon code crafty to get 35% off your entire order. 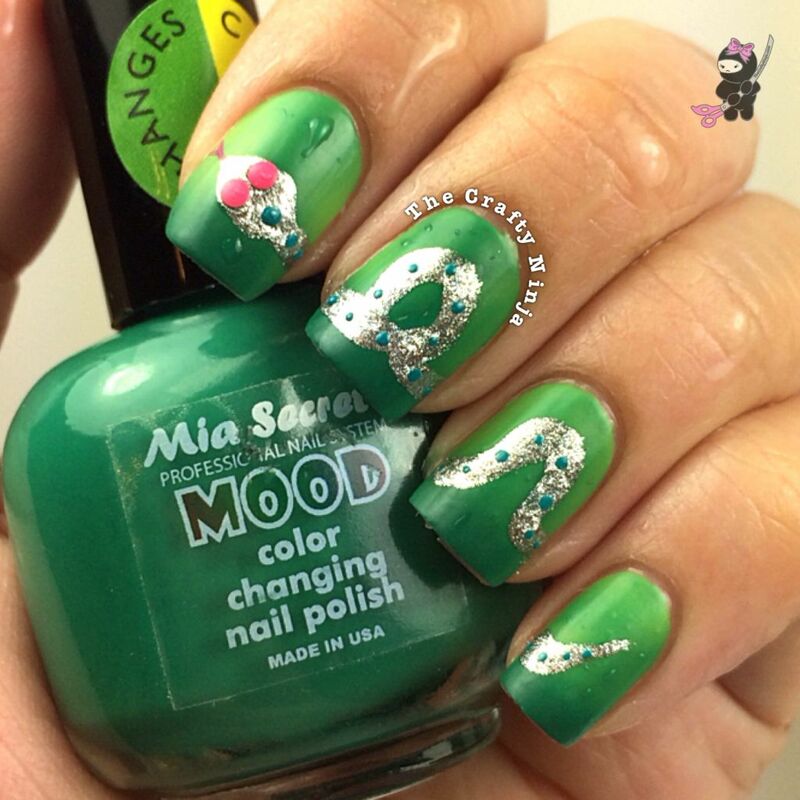 I used ElenzaLAStyle tutorial to create the snake design and used Nail Art Pens, which are also available at Simply Spoiled Beauty. When my hands are cold or wet the mood polish turns into a dark green.